I think that the only choice that we have in life is whether we align ourselves with God or not. I think everything else is all taken care of for us. You know? If you choose to align with your source, with your spirit, then your life will go in a certain direction. 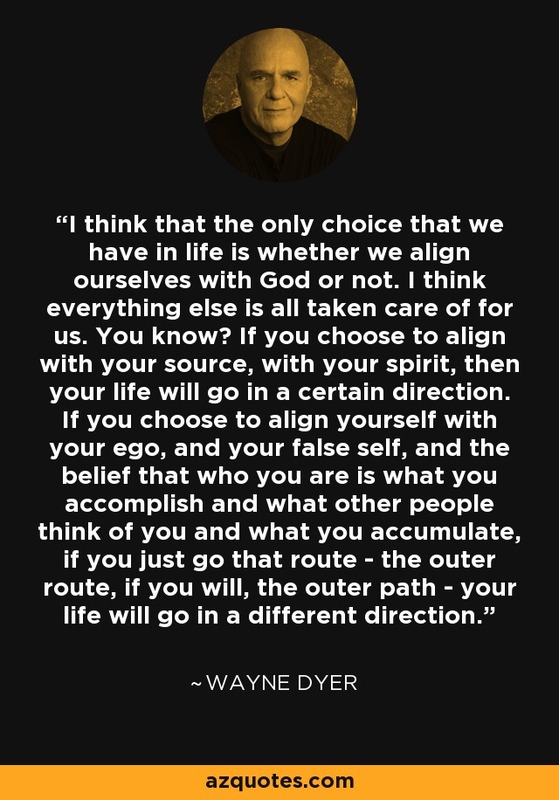 If you choose to align yourself with your ego, and your false self, and the belief that who you are is what you accomplish and what other people think of you and what you accumulate, if you just go that route - the outer route, if you will, the outer path - your life will go in a different direction.